Great teas don't blend themselves. It takes skill and time to master the art of tea making. At Morihan we accept only perfect ingredients and unsurpassed quality control at every stage of production in our efforts to provide consumers with the best possible tea. Overseeing this process we have one of Japan's greatest Tea Masters. 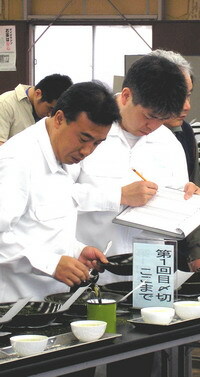 Masaru Kikuoka has been with Morihan since 1982. 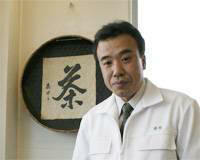 Masaru has, through natural ability and extraordinary effort, become one of Japan's greatest cup tasting masters. training to become a Tea Master is long and demands complete commitment. Becoming a true Tea Master is a lifetime's work and the training process is never really completed.